Mad Science of Greater Kansas City is a franchise of The Mad Science Group. Our programs are created by a team of professional scientists and teachers at our head office in Montreal, QC. Millions of children in over 160 locations, in 22 countries have enjoyed our programs. Mad Science of Greater Kansas City has been running camps in this area since 2003. 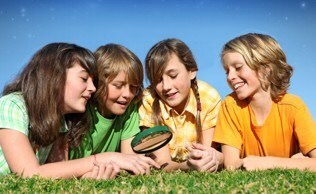 Most of our camps are designed for rising first graders to sixth graders. Our “Rockin' Robots” camp and “3, 2, 1 Blast-Off!” camp are targeted to rising second graders to sixth graders. If you have a 4-year old child some of our camps may be appropriate. Please call us for recommendations. Yes and no. A few of our camps are divided by age, but, for the most part, they are not. Mad Science activities are designed to be conducted in an age- and grade-appropriate manner. Activities consist of large group discussion, small team workgroups and individual tasks. Our instructors typically group the campers by age and/or grade to ensure the material is presented at an appropriate level. We use the buddy system if a camp has children of different ages. Mad Science may offer before and after care for camps at specified locations. If so, the opportunity to sign up for this will be presented at the time of enrollment. Please check with our other camp partners directly to ask about extended care and to secure arrangements with them. Depending on the location of the camp, there may be many ways to register: mail, over the phone, in person, or online. Our partners’ camp registrations are handled directly through our partners (such as the school districts, parks & rec., etc.). On occasion, we provide registration assistance to a partner-hosted camp. Please refer to our Camp Schedule for registration phone and web site for each location. 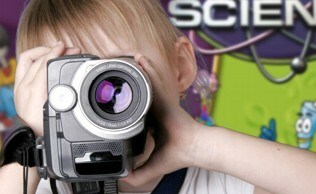 Mad Science sponsored camps enroll through our online registration system. It takes about 5 minutes and accepts Visa, MasterCard, and checks. Note: Registration requirements, start dates, end dates, and minimum camp size may vary by location. Due to limited spaces in each camp, we cannot reserve a space for your child until we receive your payment. If you are paying by check, we do not reserve your space until we receive the check. 7 days or less prior to the start date of the camp, there will be no refund. You may transfer your registration to another child at any time prior to the start date of a camp. There is no service charge for this transfer. If Mad Science cancels a camp due to insufficient enrollment, we will make every effort to provide alternate camp locations. If we are unable to find an acceptable alternative, we will offer you a full refund of your registration fee. If your child is removed from a camp due to behavioral issues or consistent late pick ups, there will be no refund. Mad Science camps are offered at a number of host locations, and the refund policy of the host location may be different than ours. In these cases Mad Science will adhere to the host location's refund policy. Please check with your location for information about their refund policy. Some camps are the same as the ones that we have used in previous summers, but we always have some that are new or redesigned for this year. Contact us for further information. The minimum number of campers necessary to hold a camp is usually 10. Mad Science tries to inform parents as soon as possible should it appear that a camp will not reach its minimum enrollment. On these occasions, we will offer priority enrollment in other camps. Check the Refund Policy above for additional information on camp cancellations. Due to the frequency of food allergies and diet restrictions, Mad Science does not provide snacks or drinks for campers. Please pack snack items and drinks you want your child to have. We cannot guarantee that coolers or refrigeration will be accessible at our camp-sites. Mad Science may offer custom designed T-shirts or Hydration stations for our campers depending on availability. Are these the only locations where you will be holding your camps this year?